With a matte black body and chrome accents, these pens impress. The Parisian renowned company Waterman brings you more than just a pen. The Hemisphere matte ballpoint is an instrument that boasts sophistication and style. 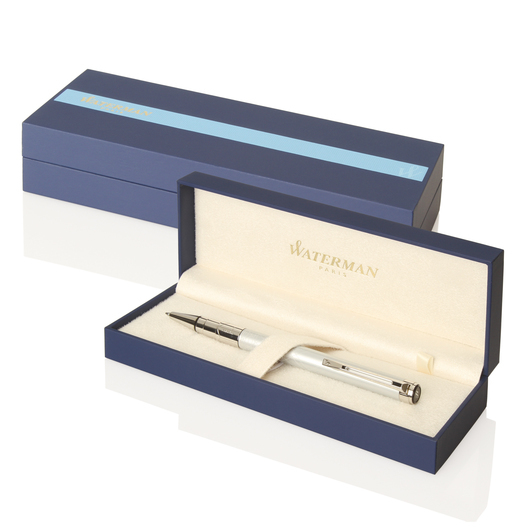 Designed as a top shelf pen, these are an effective corporate gift to show appreciation to your clients and staff. 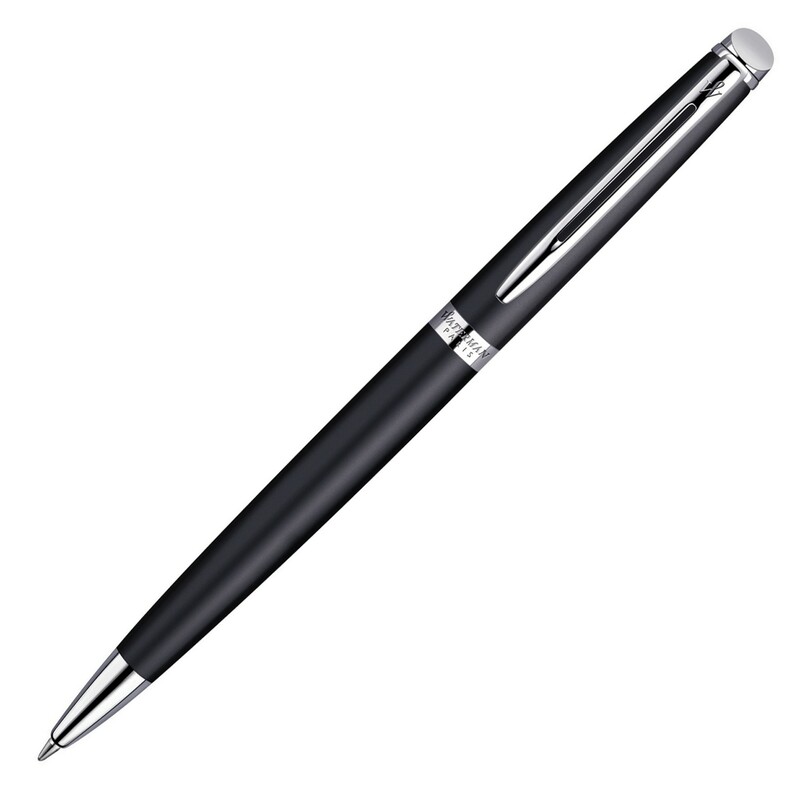 The pen may be engraved with a gold colour and utilises a twist action, retractable ballpoint.